This one must be the easiest, because all you need is a red beanie and a red & white stripped top (and maybe some hipster thick frame lensless glasses)! If all else fails, find a white top and cover it with red tape. 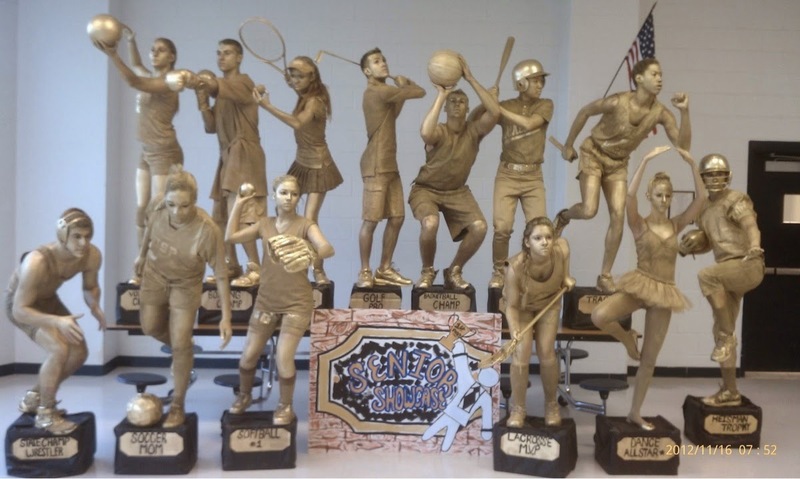 This one might look difficult, but you just need some sports wear/bats/balls, gold body paint, and black boxes! This is one of my favorites because it not only shows team spirit but at the same time lets everyone's individual talents shine. This one will just require a bit more preparation on the costume. 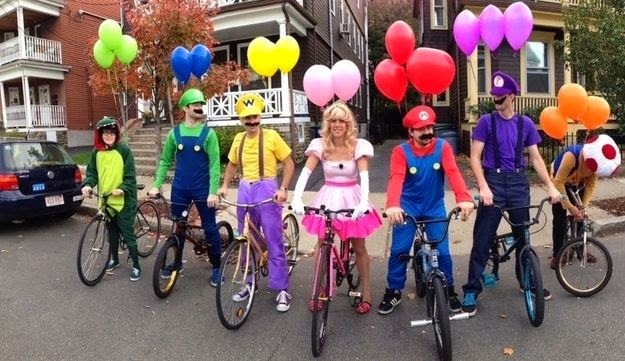 But bonus points for the balloons & bike idea! And you can even have the cloud camera guy if you want. Since superhero costumes are commonly sold in most costume stores, this is a simple one to prepare as well. Make sure to decided who is which super hero first so we don't end up getting 2 batmans and 2 supermans. On the other hand, you can also do an all villain version. 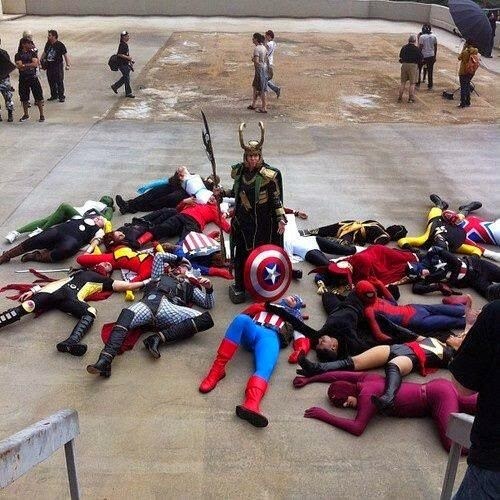 Or, just have Loki defeat everyone! Another really creative idea. But the costumes will probably need more preparation time. I've also seen people do different versions of the same singer, or other actor/actresses. 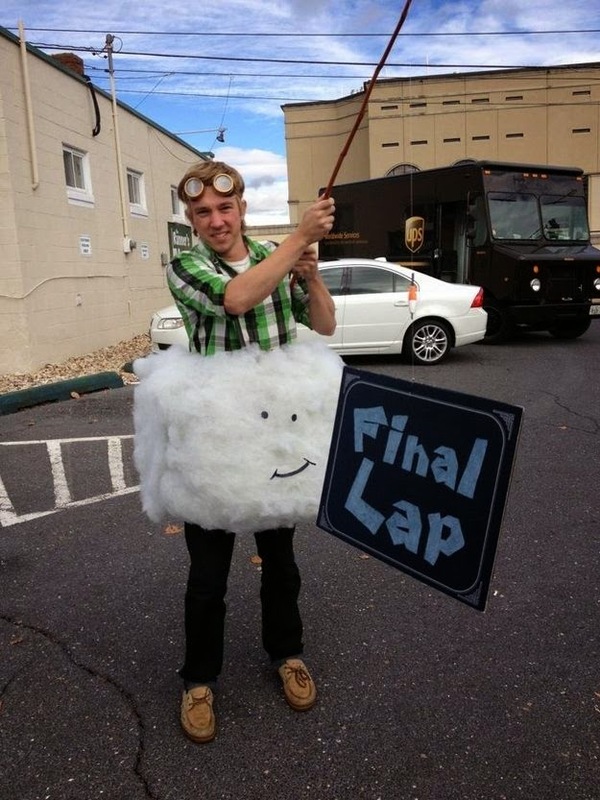 Hopefully this list gave you and your team more inspiration for your Halloween costumes. 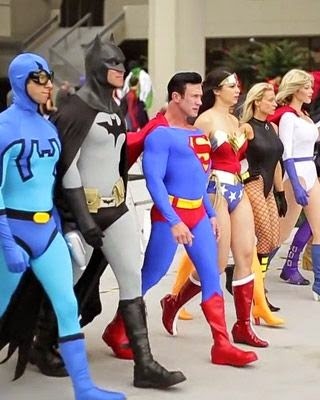 Please share any other cool team Halloween costume ideas that you might know of!